Looking for some service to send emails to your clients or subscription list in bulk? Well, Bulk mailer will help you with this, it will provides you a complete package where you can manage your subscription list and send them in bulk through your own server. Instead of paying on monthly or yearly basis to other vendors, just pay once and you will get most of them out of it. 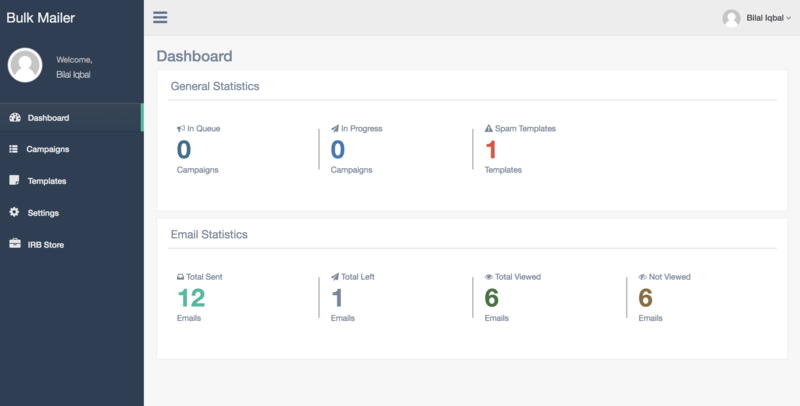 Bulk Mailer is a package where you can manage your Email Campaigns, Templates, and the list all in one place and with full control. 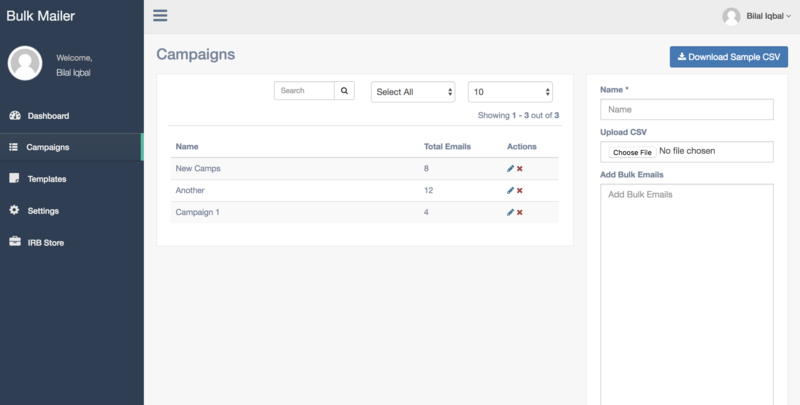 It will also provide you full statistics of campaigns and emails. Regular license will be applicable for single end user only. Extended license will be applicable if you want to give multiple users access to the product or its components. You can not include this product in other products to sell on Envato market or it’s affiliate websites.